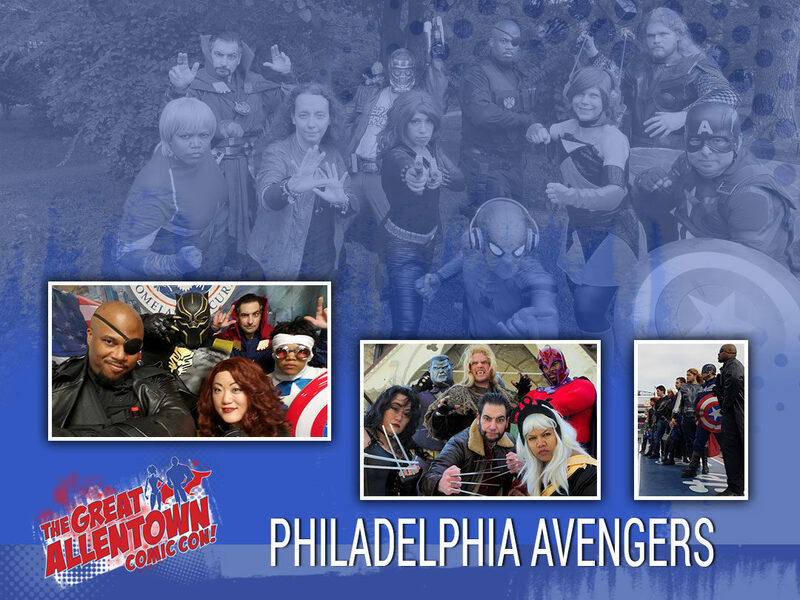 The Philadelphia Avengers is a tri-state based cosplay group who came together for their love of cosplay, charity work and promoting the importance of cospositivity and anti-bullying. They have cosplayed for hospitals, schools, children’s charities, shelters and where it all began for the founder’s comic cons. There first con guest appearance as a group was 2016 at the Pocono Comic Expo where they participated in panels, the cosplay contest and most importantly interacting with all the attendees which to them is the best part, hoping to inspire others. The group is known for their love of comics and movies and often uses this to make fun video shorts are many of their events which can be found on their facebook page where they would love for everyone to join the fun. The group also tries to find fun and creative ways to incorporate cosplay into fundraisers for children charities, veterans, medical research to combat cancer and other illnesses. The founding members are Lady J Cosplay, Kevin D Cosplay, Big Daddy Cosplay, Lava Cosplay and Phoenix Rising Cosplay who were brought together by Eric “the Smoke” Moran who all can be found individually promoting cosplay is for everyone and when are brought together as the Philly Avengers they prove it!